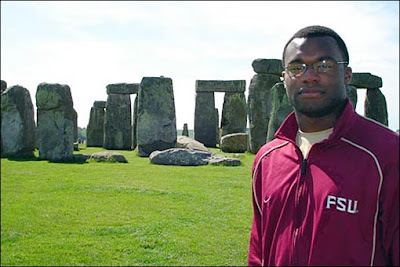 We all got a good laugh on signing day 2005 when Myron Rolle declared he would be attending Florida State because of its great medical school. But we're not laughing anymore. Getting your game time changed so you can interview as a finalist for the Rhodes Scholarship, then doing the Deion Sanders-helicopter-into-the-game act? While columnists across the country goo themselves writing about this, it's time for a reality check. I've been to Oxford. It's just a snobbier Ivy. Why not enter your name in the NFL Draft instead, rake in tens of millions before you blow your knees out at 25 and THEN do the whole "Finding myself" thing?